“The stockyards, its my backyard, that’s where I grew up” These lyrics from the Casey Donahew Band mention the “bricks of Exchange” and that’s just the place where you’ll find the world’s largest cattle stockyards (Yeah I know Casey Donahew talks about Fort Worth, but that’s not my point). This past June the Oklahoma City National Stockyards celebrated it’s centennial as being the heart of cattle marketing based near downtown Oklahoma City. Just blocks away from the tall buildings of downtown OKC and the 8 busy lanes of I-40 you’ll a section of town rich in Western American Heritage. A great place to visit for great western clothing, custom hats and boots. The OKC National is a far cry from my family’s Arkansas Cattle Auction in Searcy, Arkansas, but we have the same goal. The help cattle producers market their livestock. 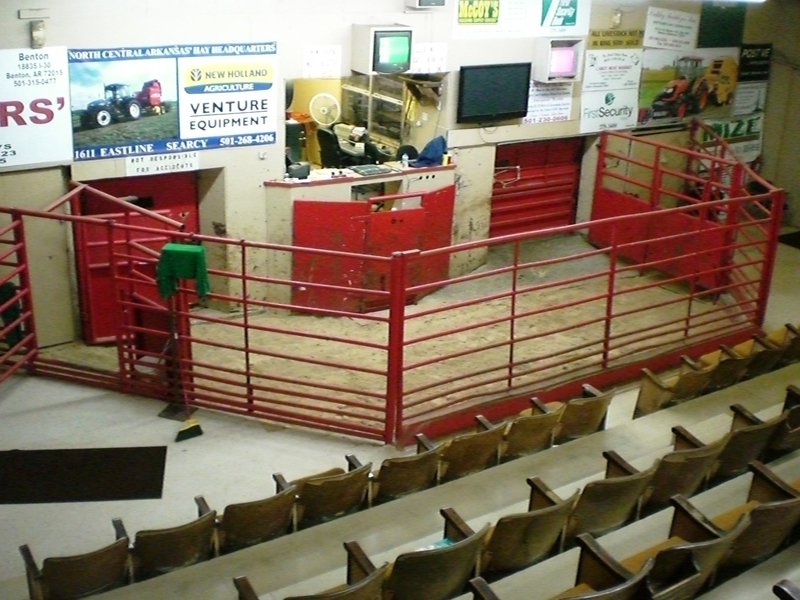 Cattle auctions today range from family owned operation like my own, to the multi-owner businesses like your larger markets. A big sale on Tuesday makes for a long week, but these people love to work with their local producers. Take a chance to stop by your local cattle auction and thank them for their hard work to help local producers make a living. Ask about their cattle handling methods and what they do to reduce stress on cattle that go through their markets. You may be surprised at the detail and planning that goes into the handling of their livestock. Here is a video that gives a good glimpse of the OKC National Stockyards. Enjoy! This blog does not represent communications for my employers, including National Cattlemen’s Beef Association, a contractor to the Beef Checkoff. These are my personal views, experiences, or those of guest authors. We are all welcomed to our opinions, but please be respectful of others’. Amazon affiliate links may be used on this site. When you use these links to purchase items, I receive a commission at no extra cost to you. This helps keep the lights on and this blog running.